The basic flavouring of the pepper rice is black pepper, hence the dish name, and that on its own was already quite flavourful. 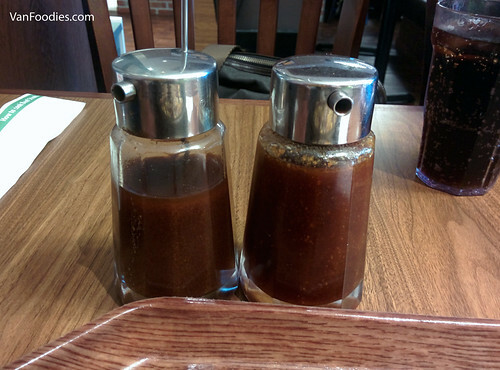 For extra flavours, you are also given two house sauces to add to your plate: Honey Brown Sauce and Garlic Soy Sauce. We preferred the honey brown sauce, which added some sweet and salt to the rice, whereas the garlic soy sauce was a bit on the salty side for us. 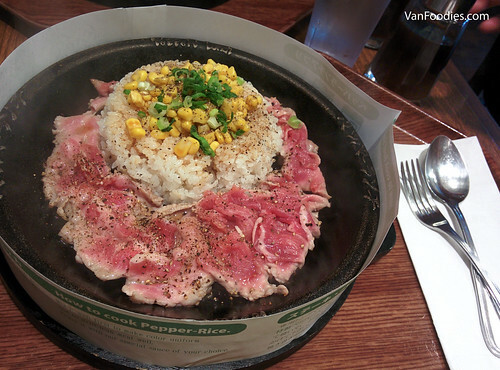 Mr. ordered the Pork Pepper Rice. As expected, the pork slices took longer to cook, so they were less over-cooked after mixing everything together. Meat was tender. 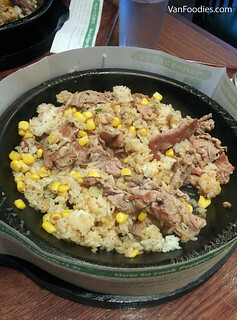 Between the two pepper rice, Mr. actually liked the pork one, whereas I liked the beef one. 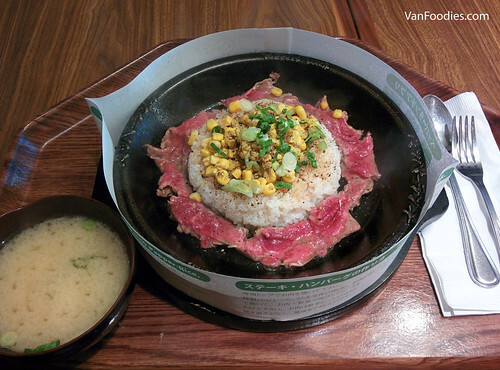 In my opinion, there was more flavour in the beef slices but pork slices were more tender. 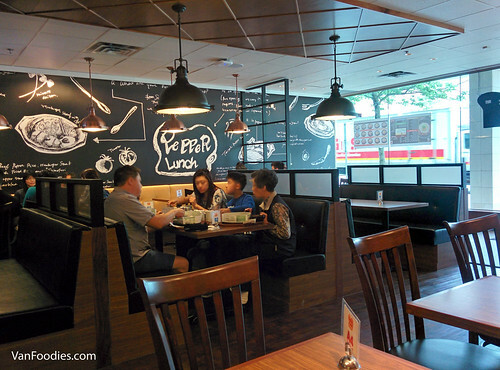 Being a quick service restaurant, the service was indeed quite speedy at Pepper Lunch. We ordered at the front entrance, then directed to a specific table and within 5-10 minutes our food arrived on a piping hot sizzling pan. They do refill the soft drinks that come with the combo; or you can ask for a glass of water from the staff. 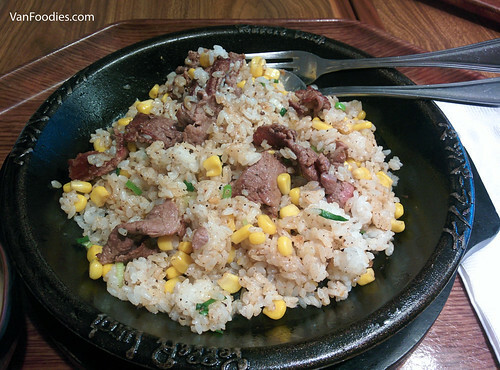 Portion and flavours together, the pepper rice was a good dinner idea starting at $8.50 each. I don’t think you should combo it as the extra $2.75 doesn’t add much value. For a quick dinner, this is not a bad option so I would go back to try other things.